Big Data is the latest “next big thing” transforming all areas of business, but amid the hype, there remains confusion about what it all means and how to create business value. 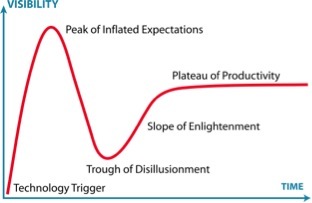 Usually when there is so much hype…there is an inevitable boom-bust-boom cycle. Hence my question: Is the Big Data shakeout inevitable? Are we in a big data tech bubble? If you are an enterprise customer, how do you prepare for this? What strategies do you adopt to take advantage of the situation? Can you move from lab experiments to production deployments with confidence? 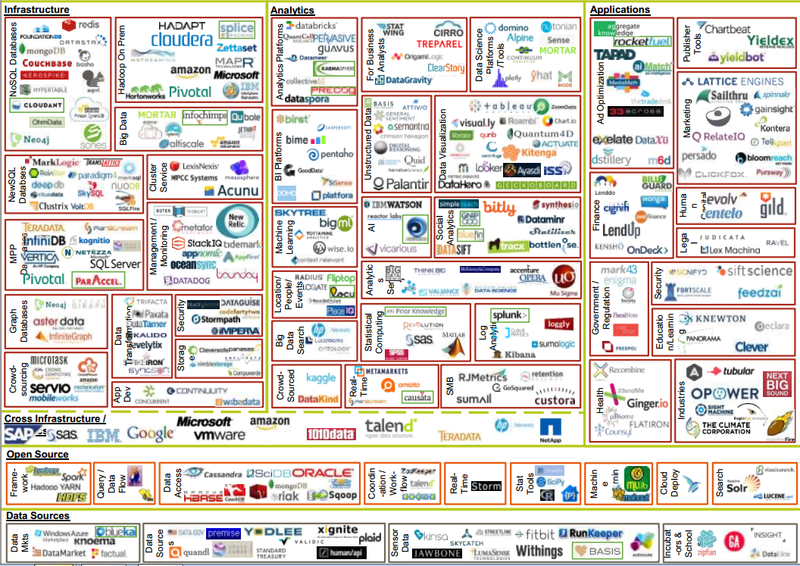 The sheer number of companies that are chasing “the pot of big data gold” is astounding (see below). While the innovation has accelerated the ability of the typical Fortune 1000 enterprise to absorb and assimilate has not. They tend to be 5-10 years behind the curve. As a result, many big data startups are either running out of cash or they are being folded by VCs into other firms. This boom-bust cycle is a typical pattern in innovation. Drawn to Scale, the four year-old startup behind Spire, shut down recently. Co-founder and CEO Bradford Stephens announced the news in a blog post. Drawn to Scale raised .93M in seed funding. Spire is a real-time database solution for HBase that lets data scientists query Hadoop clusters using SQL. According to Stephens, the system has been by deployed by American Express, Orange Flurry, and four other companies. Drawn to Scale showed that its technology was viable in enterprise environments and established a “presence against competitors who raised 10-100x more cash,” but even that wasn’t enough to save the startup from its financial woes. As Hadoop evolves and different layers of the data analytics stack get commoditized, specialized vendors like Drawn to Scale will have problems surviving. SQL-on-Hadoop was a unique feature set…but over time it has become a must-have feature, that is becoming embedded in the stack – e.g., Impala in Cloudera CDH stack. As a result, firms like Drawn to Scale once unique functionality becomes difficult to monetize. The Big Data ecosystem is exploding with exciting start-ups, new divisions and new initiatives from established vendors. Everyone wants to be the vendor/platform of choice in assisting firms deal with the data deluge (Data growth curve: Terabytes -> Petabytes -> Exabytes -> Zettabytes -> Yottabytes -> Brontobytes -> Geopbytes), translate data to information to insight, etc. In both U.S and Europe, several billion dollars of venture money has been invested in the past three years alone in over 300+ firms. Firms like Splunk had spectacular IPOs. Others like Cloudera and MapR have raised gobs of money. In the MongoDB space alone – a small market of less than 100M total revenue right now, over $2 Billion is said to have been invested in the past few years. In his book Permission Marketing, Seth Godin referred to email marketing as “the most personal advertising medium in history”. That was 1999. 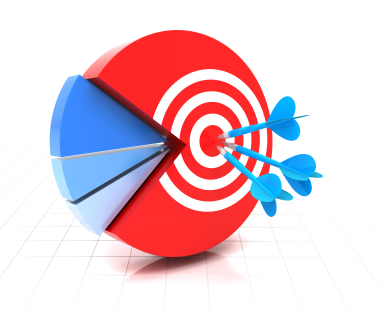 Where does email marketing stand in 2012 in the age of social media, omni-channel marketing and big data analytics? Here are some interesting data points. Mobile and social are major data exhaust producers. Mining this data is the new frontier. 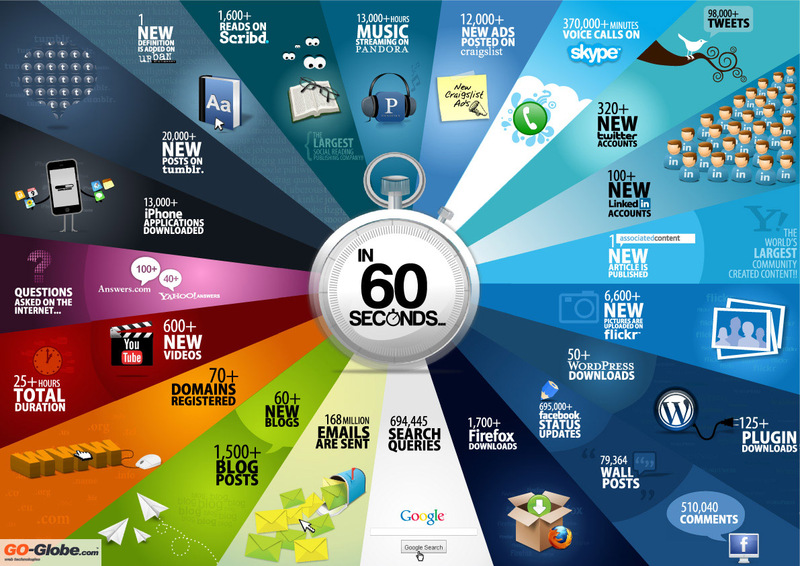 Did you know that every 60 SECONDS, a tidal wave of unstructured data is being produced, consumed and archived via mobile devices. As you read this ask yourself: what does this mean? The smartphone has revolutionized the way we communicate, search, shop, share, purchase and stay connected. What were only concepts 10 years ago are reality today. The smartphone industry is massive, with close to 2 billion devices shipped annually and total spending on wireless-related services of more than $1.6 trillion across the world. As mobile devices increasingly serve as the center of the consumer’s world, their importance to a range of companies is increasing. I am convinced that analytical insights coupled with Mobile Technology (action enabler and insight consumption channel) will profoundly change consumer behavior and the basis of competition. All customer touch points (loyalty, e-mail, web, social, payments, e-commerce, coupons) are converging on the mobile phone. A whole new form of mobile customer engagement is just starting to take shape. Imagine this scenario…. let’s say a friend tweets about a new 60 inch Samsung smart TV they bought at Best Buy. You read the tweet, but click on the URL on the mobile device and check it out. Even though that was the last click, what made the transaction happen was a satisfied friend posting a recommendation via social media and retrieved on a mobile device. The ability to convert the visitor requires analytics… where they came from, what caused them to come to the site, what offer to present, etc. Social technology adoption and usage by consumers is no longer an early adopter market — it’s a mainstream activity. Mobile is accelerating this trend. All this means a “new customer interaction” model powered by big data is emerging. Business decisions approach real-time. Time available to capture data is decreasing. Analysis of increasing data volumes have to become faster. Operational excellence requires immediate action. Real-time capture and action is where the state of the art is. All this data growth and value creation trends imply that data management, Big Data and real-time analytics is a big focus in social and mobile data going forward. 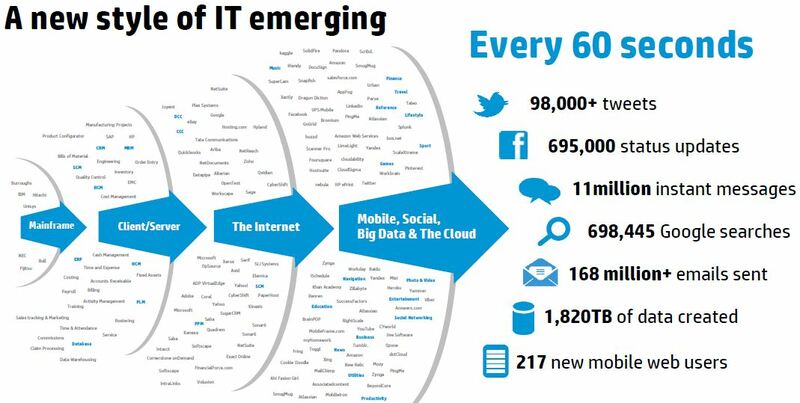 Clearly a new style of IT is emerging (see this figure from HP Analyst Briefing which conveys the computing transformation message quite well). The bleeding edge of data and insight innovation is around next generation digital consumer experience. Consumer behaviors are rapidly evolving….always connected, always sharing, always aware. Obviously new technology like Big Data drives and transforms consumer behavior and empowerment. With the influx of money, attention and entrepreneurial energy, there is a massive amount of innovation taking place to solve data centric problems (such as the high cost of collecting, cleaning, curating, analyzing, maintaining, predicting) in new ways. Disruptive innovation like predictive search which brings a very different value proposition to tasks like discover, engage, explore and buy and/or creates new markets!! Sustaining innovation like mobile dashboards, visualization or data supply chain management which improves self service and performance of existing products and services. With either pattern the managerial challenge is moving from big picture strategy to day-to-day execution. Execution of big data or data-driven decision making requires a multi-year evolving roadmap around toolset, skillset, dataset, and mindset. Airline loyalty programs are a great example of multi-year evolving competitive roadmaps. Let’s look at BA’s Know Me project. British Airways (BA) has focused on competitiveness via customer insight. It has petabytes of customer information from its Executive Club loyalty program and its website. BA decided to put customer big data to work in its Know Me program. The goal of the program is to understand customers better than any other airline, and leverage customer insight accumulated across billions of touch points to work. Personalization — based on irregular disruptions like being stuck on a freeway due to an accident – A pre-emptive text message… We are sorry that you are missing your flight departure to Chicago. Would you like a seat on the next one at 5:15PM. Please reply Yes or No. Offers that inspire and motivate—BA’s best customers are business travelers who don’t have time for irrelevant offers, so Know Me program analyzes customer data to construct relevant and targeted “next best offers” for their consideration. The information to support these objectives is integrated across a variety of systems, and applied in real-time customer interactions at check-in locations and lounges. Even on BA planes, service personnel have iPads that display customer situations and authorized offers. Some aspects of the Know Me program have already been rolled out, while others are still under development. New IT paradigms (cloud resident apps, mobile apps, multi-channel, always-on etc.) are creating more and more complex integration landscapes with live, “right-now” and real-time data. With data increasingly critical to business strategy, the problems of poor quality data, fragmentation, and lack of lineage are also taking center stage. The big change taking place in the application landscape: application owners of the past expected to own their data. However, applications of the future will leverage data – a profound change that is driving the data-centric enterprise. The applications of the future need one “logical” place to go that provides the business view of the data to enable agile assembly. Established and startup vendors are racing to fill this new information management void. The establish vendors are expanding on this current enterprise footprint by adding more features and capabilities. 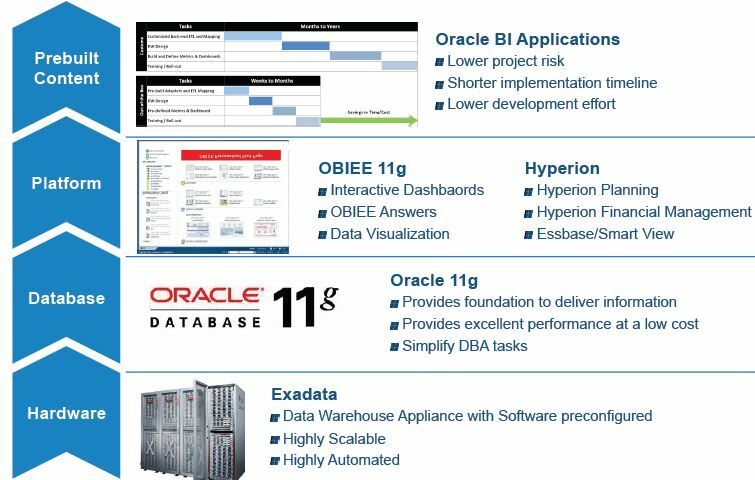 For example, the Oracle BI stack (hardware – databases – platform – prebuilt content) illustrates the data landscape changes taking place from hardware to mobile BI apps. Similar stack evolution is being followed by SAP AG, IBM, Teradata and others. The startup vendors typically are building around disruptive technology or niche point solutions. To enable this future of information management, there are three clusters of “parallel” innovation waves: (1) technology/infrastructure centric; (2) business/problem centric; and (3) organizational innovation. 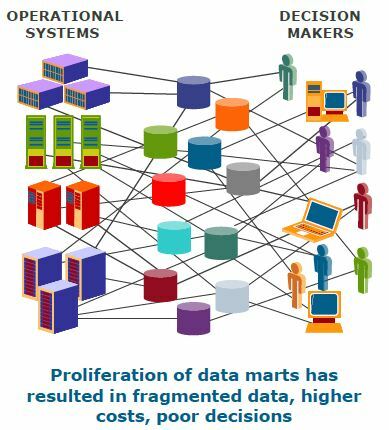 Data sources and integration — Where does the raw data come from? Data aggregation and virtualization- Where it stored and how is it retrieved? Clean high quality data — How does the raw data get processed in order to be useful? Even in the technology/infrastructure centric side there are multiple paths of disruptive innovation that are taking along different technology stacks shown below. Which strategy are you implementing? Data is valuable. Data is plentiful. Data is complex. Data is in flux. Data is fast moving. Capturing and managing data is challenging. So, if you are a senior leader in a Fortune 2000 company. 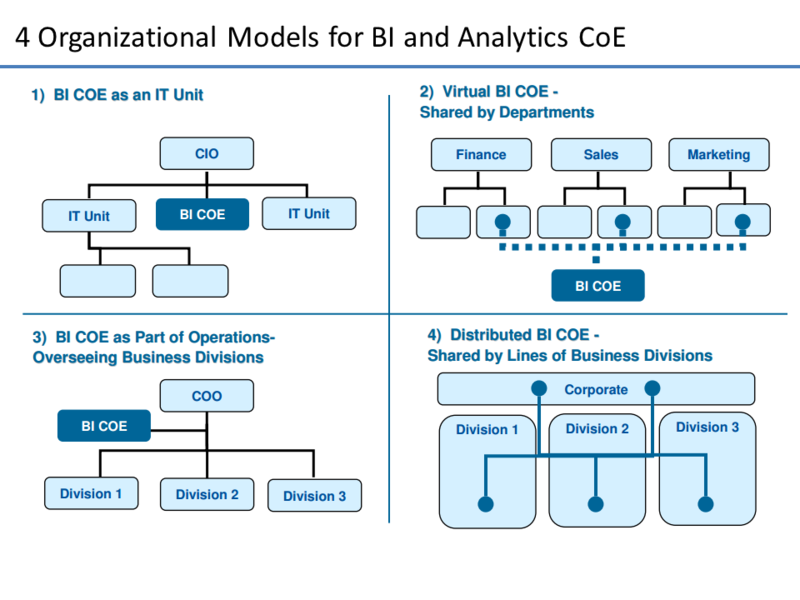 How do you structure your group to deliver effective BI, Analytics or Big Data projects? Do you have the right structure, toolset, dataset, skillset and mindset for analytics and Big Data? Organizing for effective BI, Analytics and Big Data is becoming a hot topic in corporations. 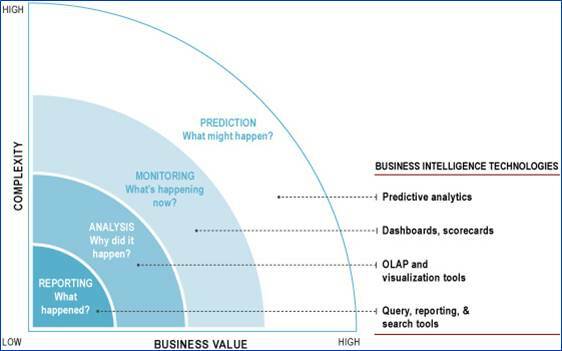 In 2012, business users are exerting significant influence over BI, Analytics and Big Data decisions, often choosing analytics and visualization platforms and products in addition to/as alternatives to traditional BI platform (reporting and visualization tools). Interested in slicing, dicing, measuring, and analyzing data for customer and business insights? According to a recent survey by Bloomberg, 97% of companies with revenues of more than $100 million are using some form of business analytics, up from 90% just two years ago. While businesses have embraced the idea of fact-based decision-making, a steep learning curve remains. Only one in four organizations believes its use of business analytics has been “very effective” in helping to make decisions. Data is not just ignored but often discarded in many organizations as the business users can’t figure out how to extract signal from data noise. 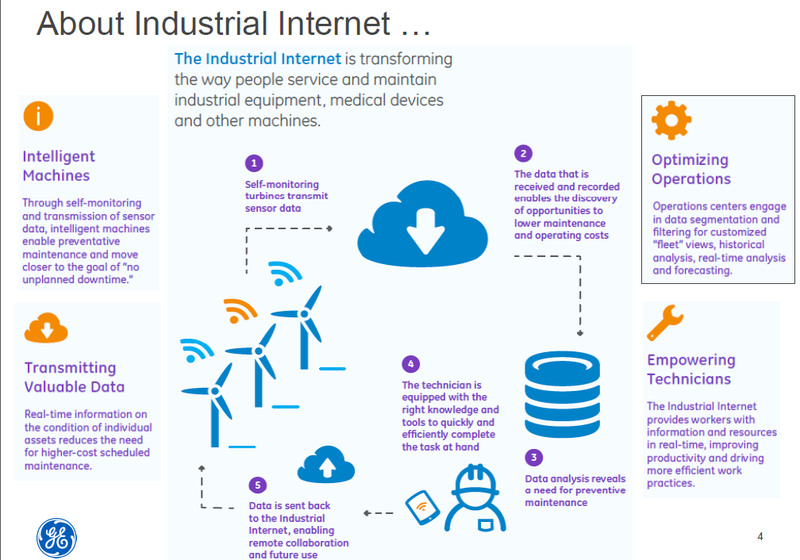 Machine data (Internet of Things) or “data exhaust” analysis is one of the fastest growing segments of “big data”–generated by websites, applications, servers, networks, mobile devices and other sources. The goal is to aggregate, parse and visualize this data – log files, scripts, messages, alerts, changes, IT configurations, tickets, user profiles etc – to spot trends and act. Machine data comes in many forms. Take for instance, what the Bosch Group is doing in Germany and Schnieder Electric in France. Similarly, the Schneider Electric focuses primarily on energy management, including energy optimization, smart-grid management, and building automation. Its Advanced Distribution Management System, for example, handles energy distribution in utility companies. ADMS monitors and controls network devices, manages service outages, and dispatches crews. It gives utilities the ability to integrate millions of data points on network performance and lets engineers use analytics to monitor the network. By monitoring and analyzing data from customer clickstreams, transactions, log files to network activity and call records–and more, there is new breed of startups that are racing to convert “invisible” machine data into useful performance insights. 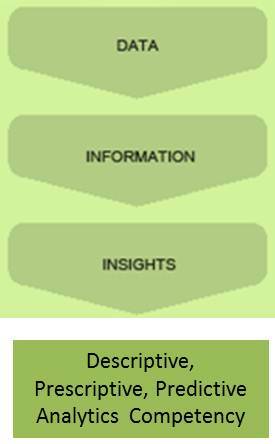 The label for this type of analytics – operational or application performance intelligence. In this posting we cover a low profile big data company, Splunk. Splunk has >3500 customers already. 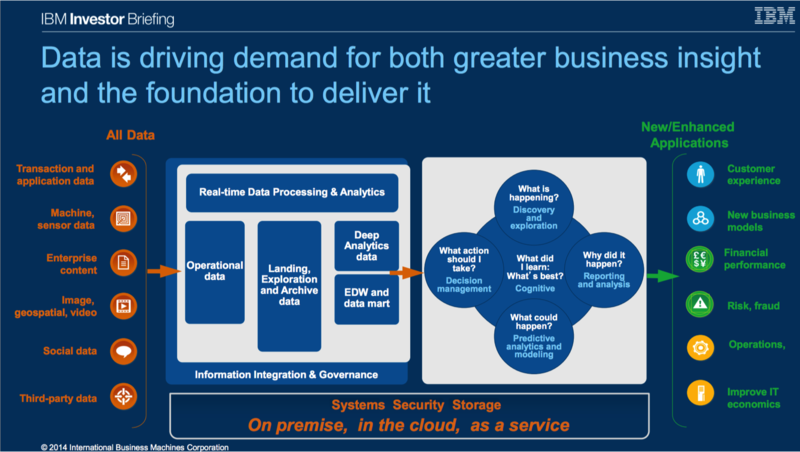 Splunk’s potential comes from its presence in the growing cloud-analytics space. With companies gathering incredible amounts of data, they need help making sense of it and using it to optimize their business efficiency, and Splunk’s services give users the opportunity to get more from the information they gather. Target predicts customer pregnancy from shopping behavior, thus identifying prospects to contact with offers related to the needs of a newborn’s parents. Tesco (UK) annually issues 100 million personalized coupons at grocery cash registers across 13 countries. Predictive analytics increased redemption rates by a factor of 3.6. Netflix predicts which movies you will like based on what you watched. Life insurance companies can predicts the likelihood an elderly insurance policy holder will die within 18 months in order to trigger end-of-life counseling. Con Edison predicts energy distribution cable failure, updating risk levels that are displayed on operators’ screens three times an hour in New York City. Now you are interested. So what about your organization. Do you have the right toolset, dataset, skillset and mindset for analytics? Do you want to enable end users to get access to their data without having to go through intermediaries? The challenge facing managers in every industry is not trivial… how do you effectively derive insights from the deluge of data? How do you structure and execute analytics programs (Infrastructure + Applications + Business Insights) with limited budgets?